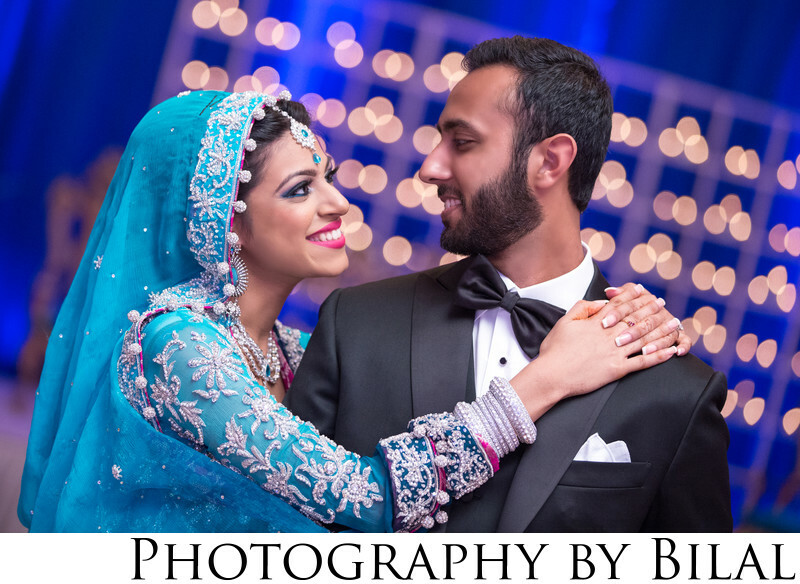 One could consider this a destination wedding, since I traveled from NJ to VA for Nabiha & Umair's Valima. This was one of my favorite shots from one of my most favorite weddings. The stage in the background had beautiful candles setup which created some beautiful bokeh. As soon as I realized this I knew that would make a great background, so I did a few portraits of the bride and groom in front of those candles.